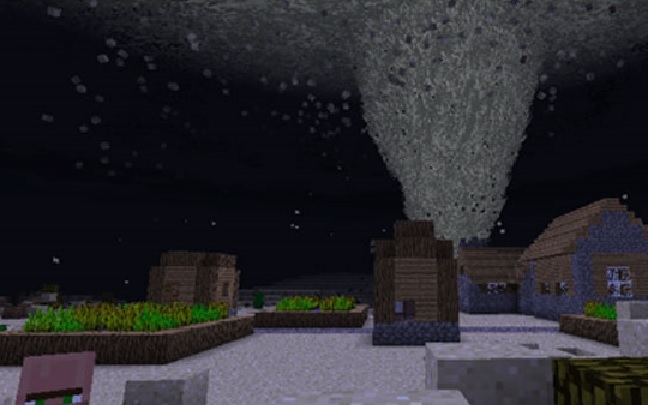 Weather and Tornadoes mod is one more exciting additon in the list of Minecraft mods. 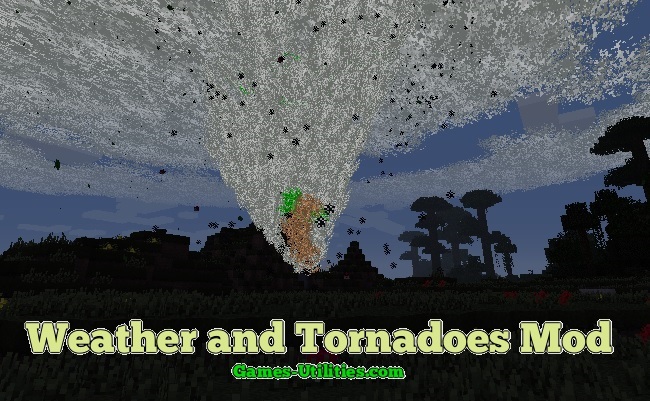 The mod will provide you a luxury to alter weather and tornadoes within the game. Functionality of this mod can be described as it adds some more difficulty level in the game by adding some natural disasters.There are some more features which can be seen after adding this mod in your Minecraft. 1. Click on “Start Menu” in the menubar. 3. Then select “.minecraft” Folder. 5. You can easily open this with the help of Winrar or any .rar executable software. 6. Then put all the files in the Minecraft.jar there..
7. Now copy and paste the weather and tornadoes mod files there..
8. Enjoy playing this mod..
We hope you will have a real fun while playing this mod. Have fun and keep coming here to check the latest updates of your favorite game on Games-Utilities. If you are having any issues with this mod please share it via comment section.